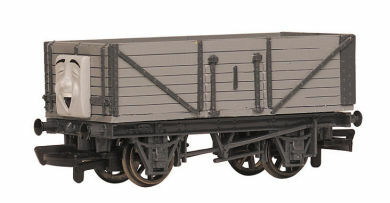 Trucks could be considered the rebels of the railway, as most of them love to cause mischief and trouble. They will play tricks on an engine based on how they treat them. Most accidents caused by the trucks are a form of revenge due to mistreatment. If an engine is having a bad day, makes a mistake or is easily played upon, then the trucks begin their wild antics of singing, name calling, holding back, shoving, bumping, giggling and so on.